Sen. John Kennedy inquired with United Airlines President Scott Kirby over the rate of animal deaths aboard their aeroplanes. According to the Department of Transportation, 18 of the 24 reported animal deaths aboard major US airlines last year were in the care of United. 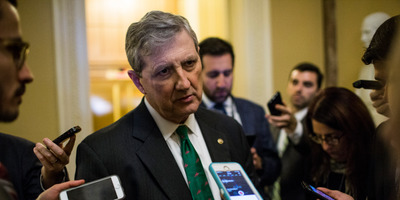 WASHINGTON – Sen. John Kennedy of Louisiana sent a letter to United Airlines President Scott Kirby on Wednesday, probing the circumstances of the death of onboard animals. Kennedy, a Republican, noted the recent death of a French bulldog, which a United employee forced to be stowed in the overhead luggage bin, resulting in the dog’s death during the flight. Kennedy also cited Department of Transportation statistics, specifically that of the 24 deaths among animals in the care of “major U.S. airlines,” 18 of them were on United flights. Airlines Delta and American each reported two deaths. Kennedy’s letter comes after the incident involving the French bulldog, for which United apologised in a statement.